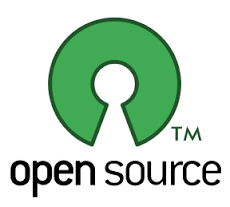 There are several versions of – Open Source license. In general, open source licenses grant licensees the right to copy, modify and redistribute source code. There is a trend these days of software development companies providing paid open source software. Wherein the owners can buy the software, receive full source code and they can modify the code as per their choice. This is especially popular with WordPress Themes and Plugins being sold by web development companies. The authors provide complete source code and documentation and sites like Themeforest.net do the marketing. It is a win-win situation as the buyers get access to full software source code. Our Job board Software – ejobsitesoftware.com is also sold under those liberal terms. Where in the buyer gets full source code and they can modify any text, code or design as per their choice. Also people can contribute; they can make a theme or join the core development of the job board software. JoobsBox is a flexible software for job boards with a plugins and themes system ready for your needs. However visiting their site gives an impression that they are not properly supported. So people are advised to use them at their own discretion as their jobsite may get compromised after installation.